Now that Cora is easier to leave, I have started getting more time with just my big two babies. I know Dylan loves having time just him and I, Archie is very much lost without his brother and if I suggest we do something just us, he asks whether Dylan can come too. We have been going on a few little adventures and it is so nice not having a pushchair or a toddler to chase after and being able to enjoy their company. 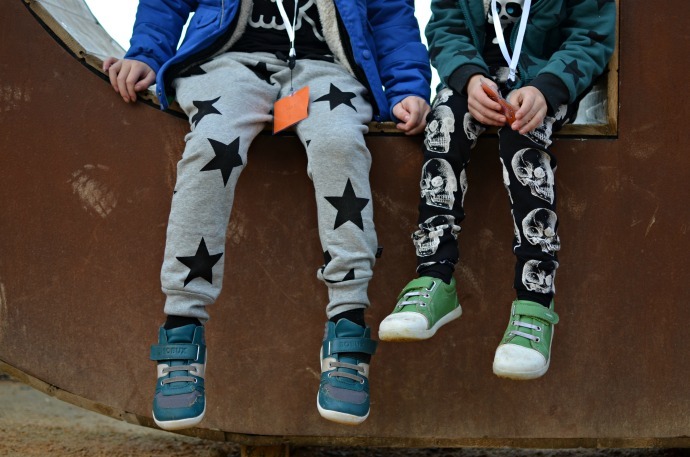 Last weekend we visited a local theme park and the boys wore their new trousers from Nununu. 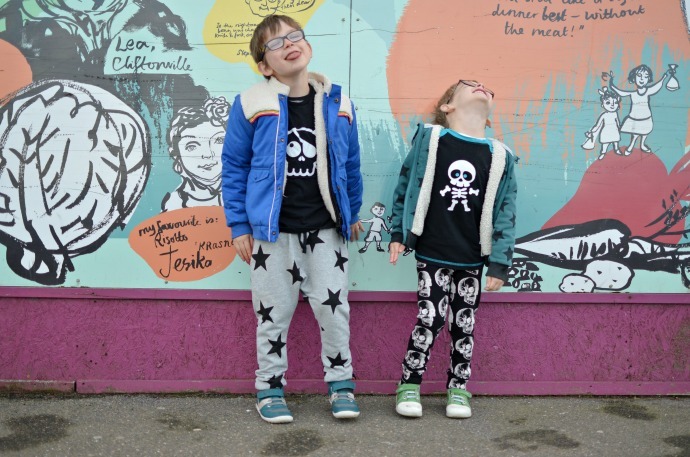 Archie much prefers leggings when given the choice and I chose these skull print ones for him as I knew he would love them. They look comfy and they are definitely his new favourites. The print and style of these is great for slightly older children and I think they look great on him at nearly 5. Dylan's trousers are more of a harem jogger with slim legs. They look comfy and stylish and match with so much (including his Nununu top). 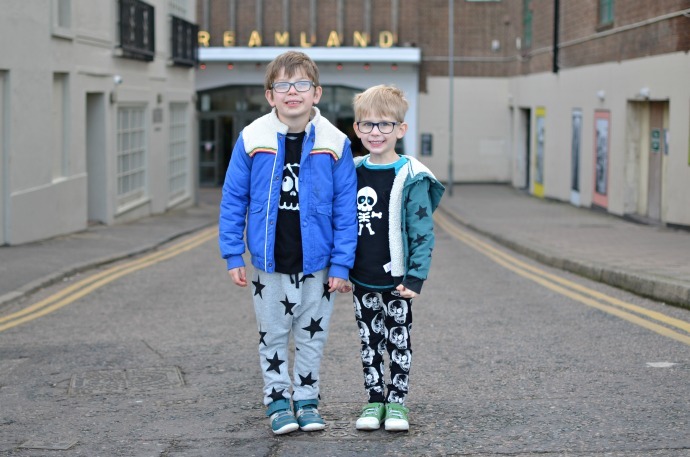 Margate is covered in bright graffiti, the perfect place for getting some 'cool' shots if these two didn't decide to poke their tongue out in pretty much every one! 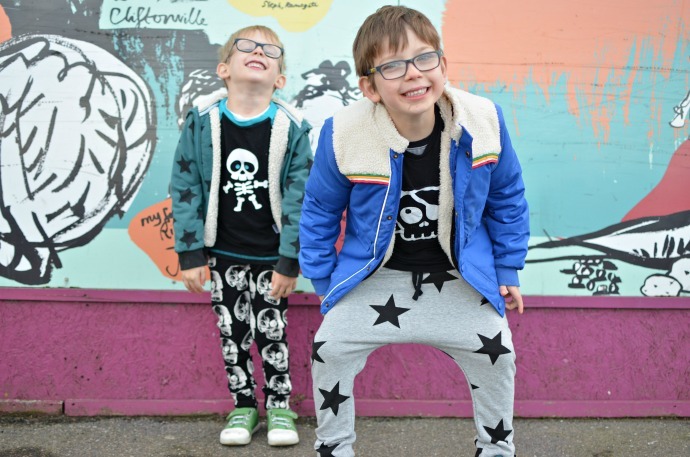 I think these clothes really match their personalities well and I love how stylish and fun the Nununu collection is from ninja hoodies (which Archie would LOVE) to statement shapes and classic black, grey and pink shades. I have found the sizing pretty true and both children are wearing the right size for their age here. I am really enjoying these days out with my big boys, doing all the things that they miss out on normally because of the little ones and exploring new places. We have more adventures planned in the lead up to Christmas and I am hoping to make it a regular thing having a Mummy day with my big pair. I love the star trousers, but they are both fab. 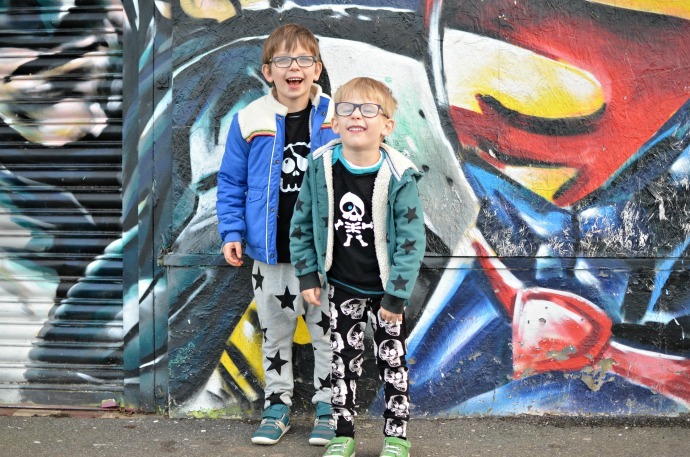 I haven't heard of the brand before, but I've just checked out their website and they have some seriously cool pieces I am tempted to get for my girls. I love these funky little outfits, they look fab. I always go for stars on clothes when I see them.